I researched these poles online and then purchased them. They poles are well designed and well balanced. They two poles also fit easily in my bag. I am 5'9" and these are more than long enough and sturdy enough for a tall person like me. The poles are also unisex. They were easy and straight forward to use. The wrist straps on the top are adjustable and the foam handles are very comfortable. I was surprised at the quality of these poles, especially considering the reasonable price. 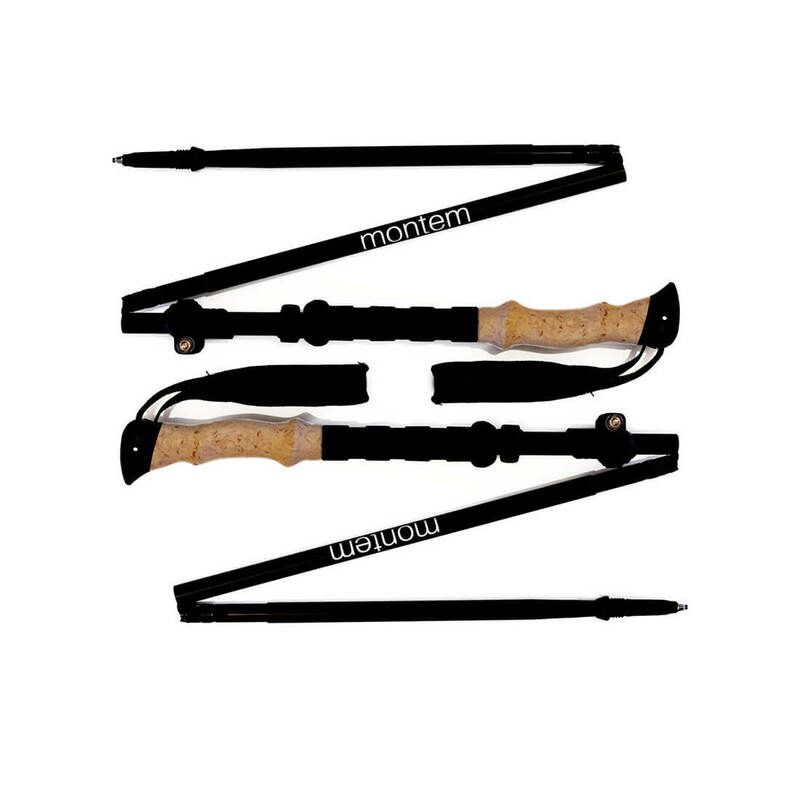 They are comfortable and the collapsible upper section grips without any slipping. I used these the very first weekend after I got them and they were great. They were very easy to figure out and adjust. Loved that they collapsed and fit into my backpack so I didn't have to carry them when the terrain didn't require them. The cork handles were comfortable and the straps were nice and soft. Would definitely recommend these for anyone interested in a solid set of trekking poles. I bought 2 pair, one for my Mom who is recovering nicely from hip fracture with surgical repair who in now advanced to cane. She bought them with her to PT who was happy to guide her to use...my Mom's review the are so light weight, I love the comfort grip of the cork handles, and feel very stable with less limping". For myself, very pleased for most of reasons she reports. Highly recommend these walking sticks! These are great light weight poles. They are well constructed and I have used them a few times without any issues. They easily fit in my luggage and backpack. I took them on a trip to California and I had zero issues at the airport. These are a great buy. The first time I have used them was on my trip to Alaska. I took them up the mountain and I can honestly say that they probably stopped me from falling three to four times. This was such a good purchase and I would recommend them to anyone. I have now used them multiple times and they are still sturdy and the day I got them. The compactness of the trekking poles is also great and fit in my backpack. I love these poles. They make my walking regiment much easier and give my upper body a nice workout. Plus they were on sale!! So Far So Good... If speed of shipment is anything to go by, I'd recommend the Montem Z-Poles. Ordered on Friday night, arrived on Monday - that's pretty fast. The poles look well constructed - good solid connections between the sections, the height adjustment works well - it remains to be soon how well the plastic clip-lock holds up but overall the build quality is high. I bought these because my Komperdell guide pole is too long to fit in the bag I'm taking on an upcoming trek. The length and the weight of the Z-Pole is 700g for the pair, and since I have an absolute weight limit of 15kg (which has to include 4-season sleeping bag, clothing, and DSLR) I'm prepared to sacrifice some of the guide pole features (like anti-shock) for length and weight. The only downside I can see is that the carbide tips are not replaceable - I don't expect to wear them out anytime soon if prior experience is anything to go by, but that feature would push the review to 5 stars. That said, I knew going in that the tips couldn't be replaced, so maybe it's not fair to ding the poles on that account.